ATC is one of those long running loudspeaker brands that I have not had the experience with in my own system. 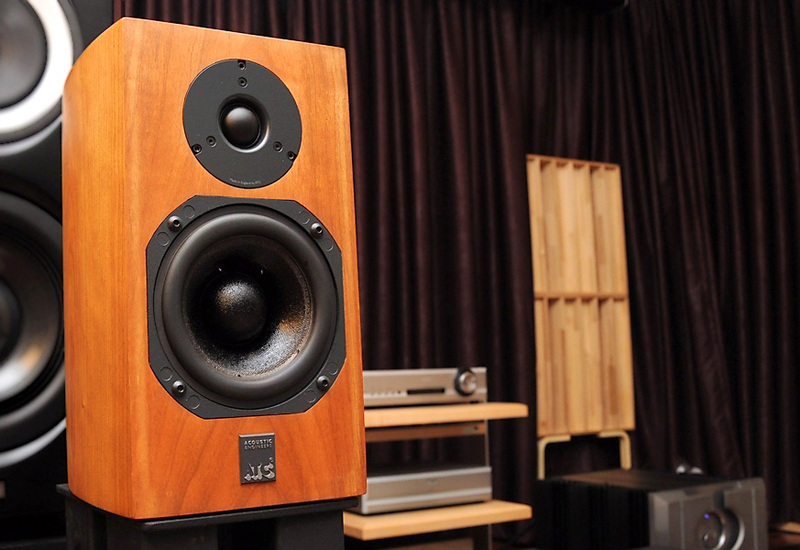 I heard ATC’s bigger creations in Willy’s and Lam’s systems in the past and was suitably impressed, so I decided to loan a pair of ATC’s entry level loudspeakers, the SCM7, from its local distributor, Hi-Way Laser, to experience for myself. 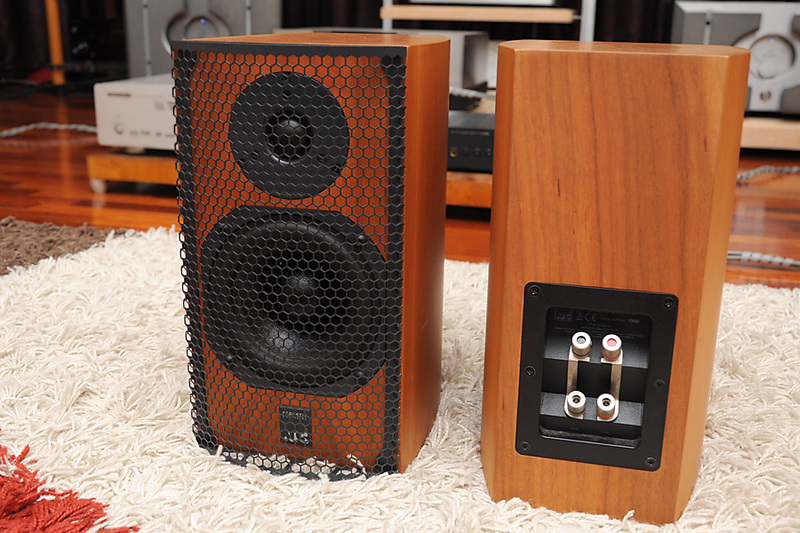 The current SCM7 is the third generation of ATC entry level speakers that bear the same name. Despite its being the smallest and cheapest model in the ATC range, the SCM7 is a well-made high quality small loudspeaker. When I was unboxing them, I was impressed by the solidity of the box and the beautifully matched wood veneer (cherry on my loan samples). The latest generation of the SCM7 also eschewed the rectangular box construction, the cross section of the speaker box features curved sides, designed to increase rigidity and to counter standing wave build-up inside the box, I believe. I also found it to be aesthetically more attractive. The speaker grilles are attached via magnet, so, the front fascia, other than the drivers and the logo, is clean. 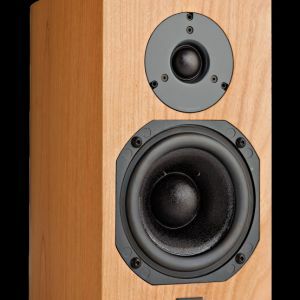 The SCM7 is a 2-way loudspeaker featuring a 25mm soft dome tweeter and a 125cm mid/bass driver. Both drivers are designed and made in-house by ATC. Its frequency Response is quoted as 60Hz-22kHz (-6dB). The sensitivity is 84dB/w/m, which is on the low side, but not much difference from other small bookshelf loudspeakers. As per my usual auditioning process with entry level loudspeakers, I ran them in my main system as a start, to see how far they could go, but the main listening sessions were done with matching entry level electronics, from Marantz (a DV7001 universal player) and NAD (a C315BEE integrated amplifier) with cabling from Wireworld and vDH. 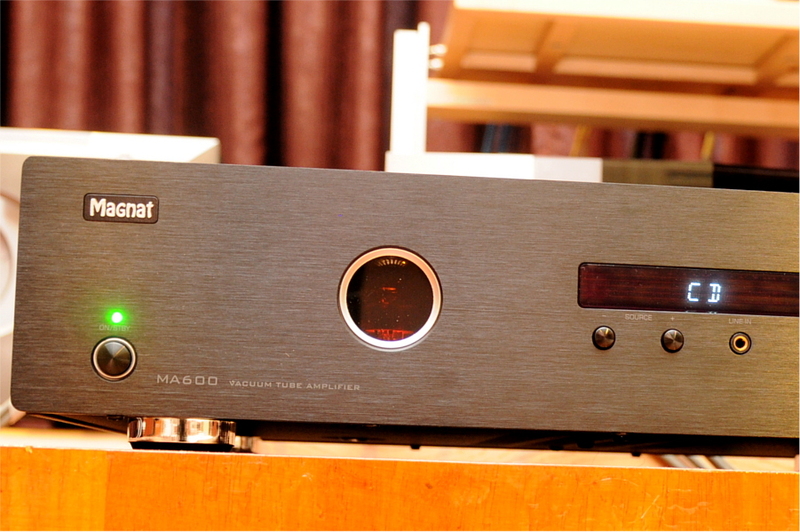 It turned out that the SCM7 was quite room friendly (in my room at least) and not difficult to position. 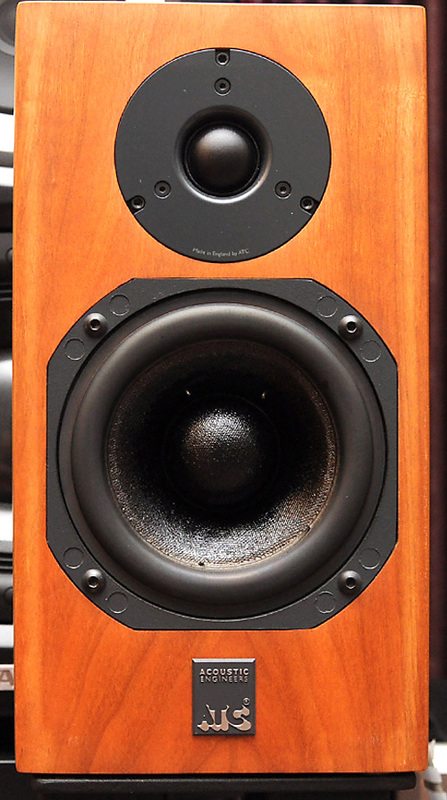 I put them in front of my main speakers with nary any toe-in and they performed well straightaway. Eventually, I just needed to pull them a little closer to each other to lock in the imaging, and that was it. Despite me hearing audiophile feedback in the past that ATC speakers required high power to perform well, this did not seem to be the case with the SCM7, could it be that ATC has addressed this matter with its new generation design? 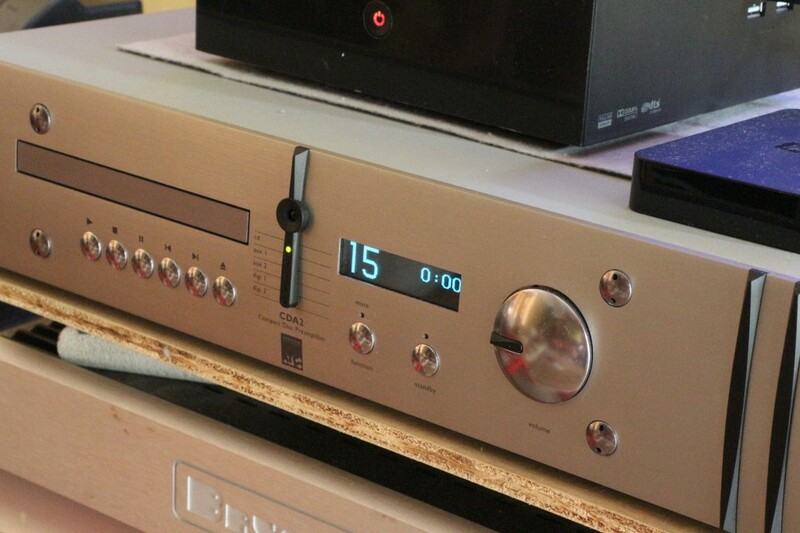 The 40w per channel from the NAD C315BEE was adequate to drive the SCM7 to the volume level I wanted in my 15’x22’ room. 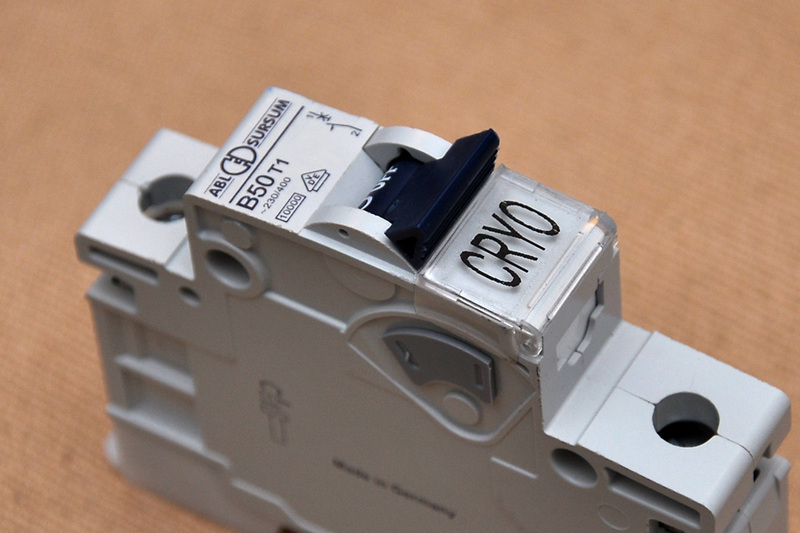 However, the ATCs also responded well to greater and better power. 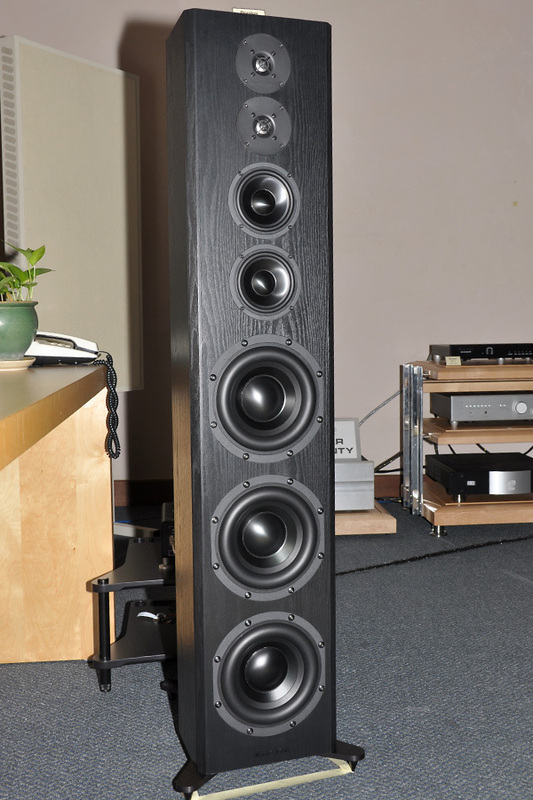 When I put them together with my Pass Labs XA160.5 monoblocks with 160w of class A power each (admittedly an overkill), the SCM7 could go even louder and cleaner, so I would think something with a hundred watts or more in the SCM7’s price class would not go amiss. Interestingly, ATC recommends 75 to 300 watts of power for the SCM7, I take this to mean that the SCM7 does need some power to be driven well and it also has great power handling capability to boot. I really enjoyed my time with the ATC SCM7. They are a pair of very balanced sounding transducers, with excellent integration and coherence across its entire operating range. This lack of any overt emphasis, I believe, renders them suitable for playing all types of music, they are an “all-rounder” as far as music genres are concerned. They also conveyed rhythm and attack very well in my listening sessions, music retained its natural liveliness through them, there was no plodding nor overexcitement. ATC bills their products as studio monitors so I think this is indeed expected of them. The ATC SCM is a sealed box/infinite baffle design, so the bass region would start its roll off earlier but slower compared to a ported/bass reflex design. I think the bottom end could do with some boundary reinforcement in order to get weightier, unfortunately due to the way I have positioned my gear I could not try this out. 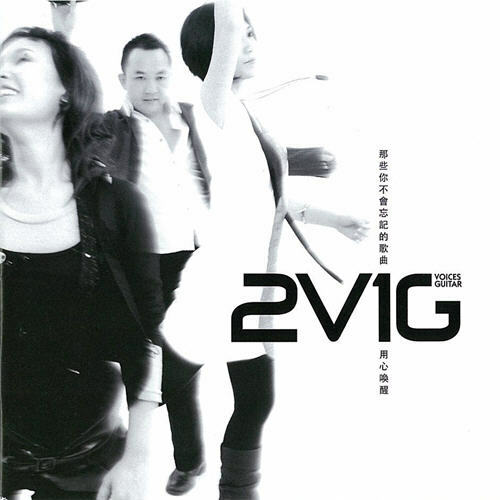 The SCM7’s bass performance was clean and the bass notes were well defined, which also contributed to its rhythmic performance noted earlier. The SCM7’s midrange is a star. All types of vocal performance came through excellently. The SCM7 did not sweeten up the vocal performance but rendered voices, whether female or male, young or old, smooth or gruff, in a natural way, “this sounds real” flashed through my mind a few times in my listening sessions. The highs also came across very well. I appreciated their smoothness with no tendency to get harsh even when played loud. These new SCM7s also never sounded dark, which is a departure from the impression of some listeners of past generations of ATC loudspeakers. The treble is not the sparkly type like some speaker designs that emphasize that particular region; instead of sticking out, the treble region integrates smoothly into the whole sonic picture. I like the imaging and soundstaging capability of the SCM7 too. Images were well formed within a good spread of soundstage width, depth and height, commensurate with the size of the loudspeakers. The ATC SCM7 is a great small loudspeaker, anyone who is looking for loudspeakers at this size and price range should give them an audition. They may not have the fireworks to grab your attention immediately (beware, such excitement may not last long), but they will work their charm into you surely within a short time. ATC is carried by Hi-Way Laser, contact Kenny @ 03-78738325 / 019-2813399. The ATC SCM7 lists for RM6,580/pair. Here, I’d like to share a few clips that I made of the ATC SCM7 playing in my room (matchED with Marantz DV7001 and NAD C315BEE). The clips were captured with an iPhone 6 and downsized to a mp4 file (with 192kbps audio). Firstly a caution: this type of clips cannot convey the actual performance in full, the extension in the lows and highs will be limited, soundstage cannot be heard at all, and even how loud the system was playing cannot be conveyed. However, I hope they can convey a few characteristics I would like to highlight (it is also advisable to listen to them through headphones if possible, rather than through the built-in speakers on your mobile devices). I’d like to thank Pop Pop Music and Reference Recordings who have graciously given me their written permission to use their recordings in these clips. 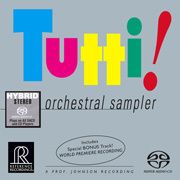 The second clip is of the ATC SCM7 playing Track 1 from Reference Recordings’ SACD – Tutti (RR-906 SACD) – Rimsky-Korsakov: Dance of the Tumblers, Eiji Oue/Minnesota Orchestra.